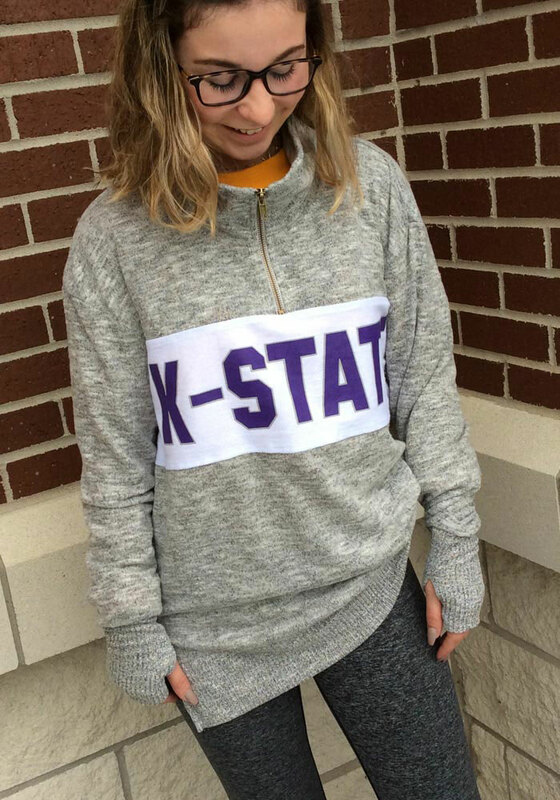 Stay warm and show your Wildcats spirit in this K-State Wildcats Long Sleeve 1/4 Zip Pullover. This Womens Grey Cozy Fleece Long Sleeve Pullover features a screen print team graphic on center chest stripe. You'll want to wear this K-State Wildcats Long Sleeve 1/4 Zip Pullover every day. The fabric is like live in its so cozy. It’s a great length to wear with leggings. However a little more snug than it’s shown in the picture.